We often struggle to express our tweets within 140 characters limit imposed by Twitter. You can make your longer tweets fit in to the 140 characters by using your own short word notations. But it would be really helpful if there is a dedicated web app to take care of shortening your tweets without changing the meaning! 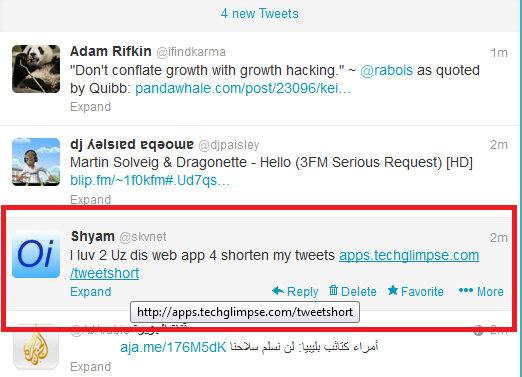 Techglimpse.com developers announced a new web app which would help you shorten your tweets and post it to twitter directly!. 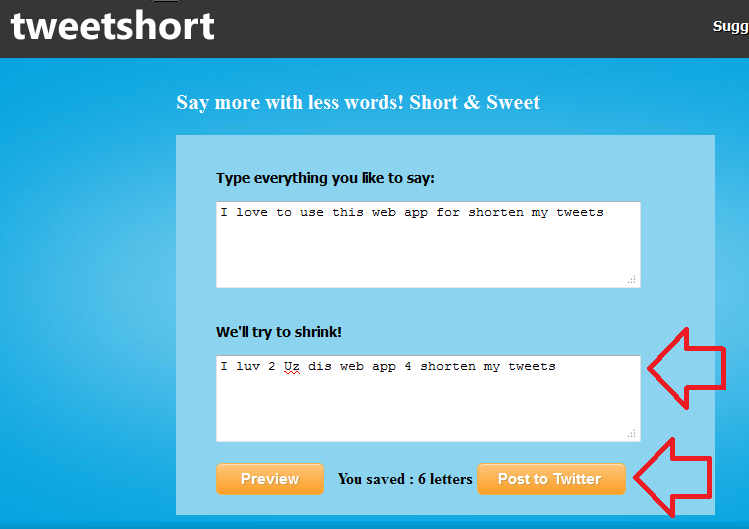 The TweetShort web app accepts your tweet message and generates the shortened message in preview. 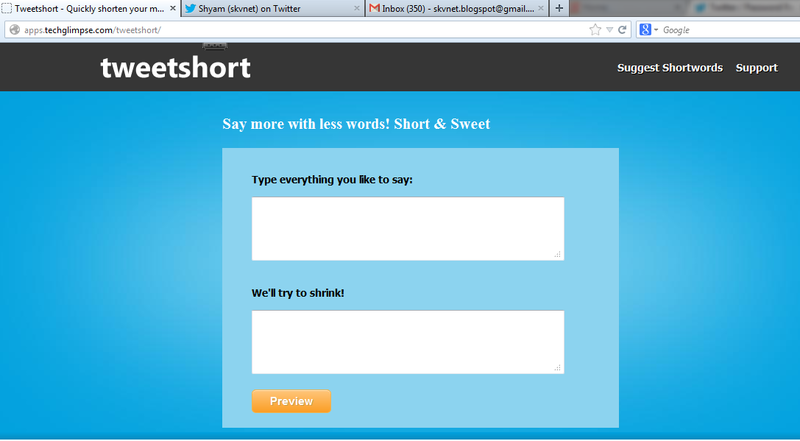 This will take you to the twitter for posting your tweets! 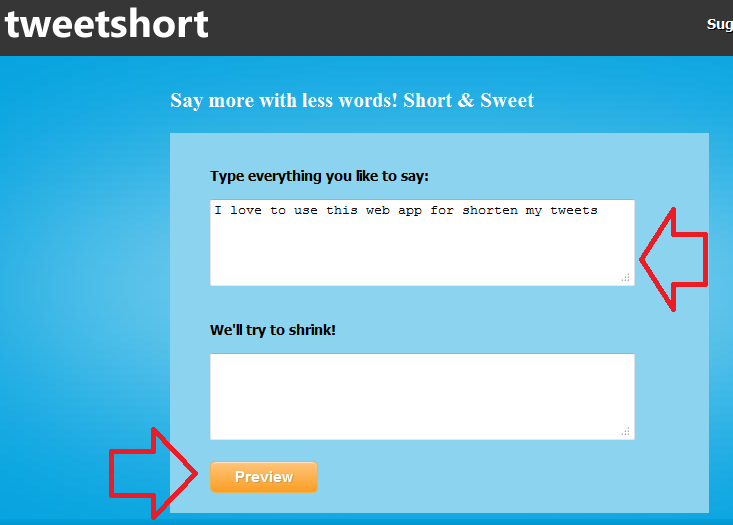 Try TweetShort web app, and if you find some short words missing, you can use the suggest link to send it to the TweetShort developers! Cool one…thanks for the tips..